Teletech have a full range of leads for our products. 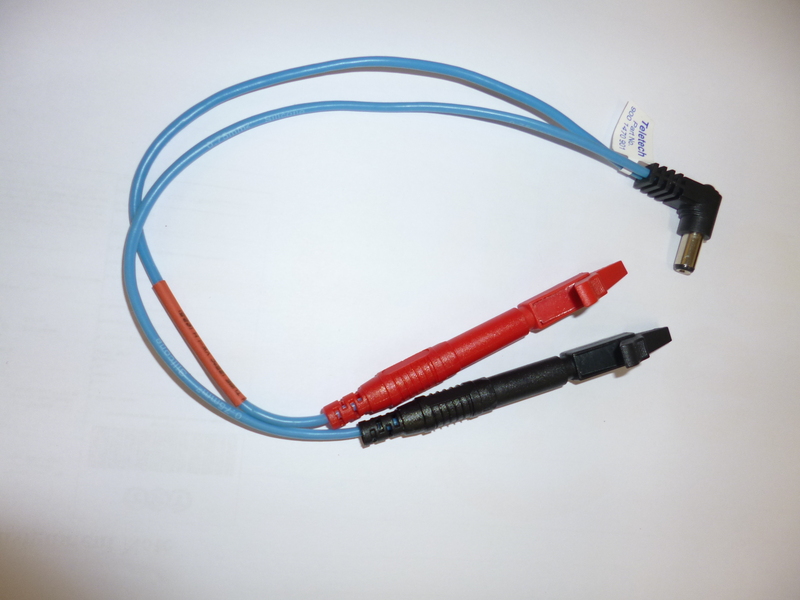 We also supply leads for the Riserbond RD6000 instruments. They can all be purchased direct from us. 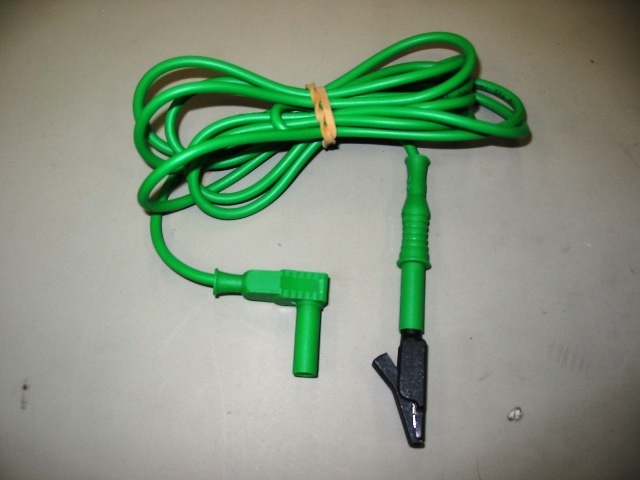 This lead has a right angle plug and is supplied with 2 alligator clips. Telstra Serial/Item 005/00126: Replaced part 900 1469 900. For use with the Loop-a-Line probe. TX125 Remote Test Lead Line 1 General Purpose. 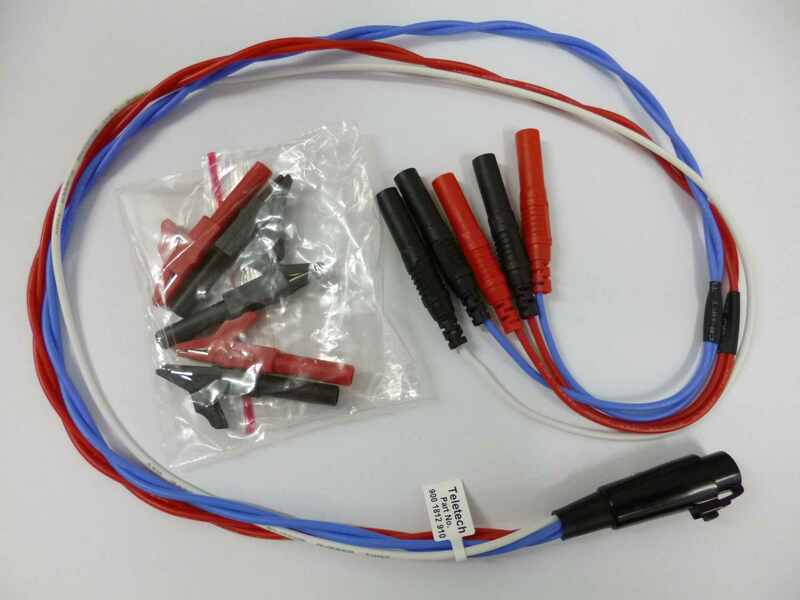 Two Red Leads, Two Blue Leads and One White Lead, all with 4mm Shrouded Plugs and Alligator Clips on one end and 7 pin Hirose connector on other end. 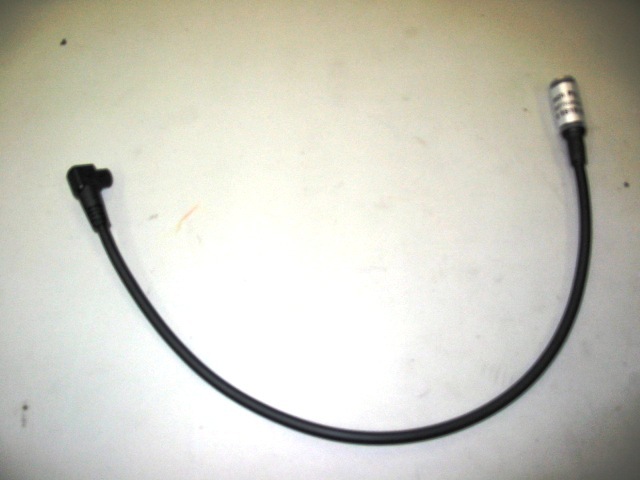 TX125 Remote Test Lead Line 1 General Purpose. 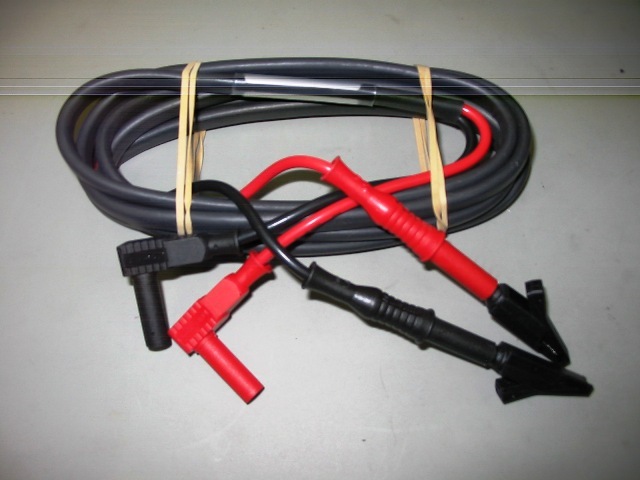 Two Red Leads, Two Blue Leads and One White Lead, and Alligator Clips on one end and 7 pin Hirose connector on other end. 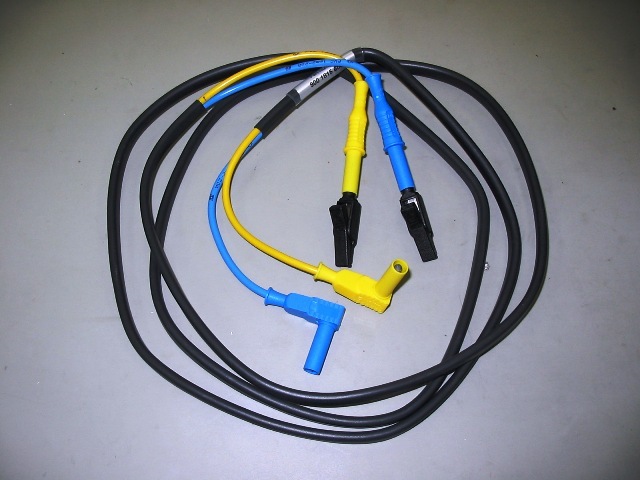 TS900 series General Purpose Test Lead with 4mm shrouded plug connectors. Five alligator clips are included. Leads for the TS916 Oscillator.